When you are trying to find ways to save money and live a more frugal lifestyle, one of the first places many people look is at car insurance. While almost all states make it a legal requirement to have insurance for your vehicles, state minimums are quite low. This allows you to find affordable insurance. However, most people opt to have more than the minimum coverage required by law. This is because minimum insurance coverage amounts are not always adequate should you actually get into an accident. For example, having the minimum insurance would not cover any damage or injuries to your vehicle, you or your passengers. Getting additional coverage, though, should not cost an arm and a leg. You can customize your insurance so it fits your frugal lifestyle. The best way to do this is through asking questions when getting a policy. Here’s a look at a few questions you might ask insurance agents when shopping for car insurance. It is a good idea to learn what all your options are. If you can, get quotes for the different options so you can see exactly what each will cost. You can then adjust the policy until you have the right balance of coverage and cost. What Will my Out-of-Pocket Expenses Be in an Accident? While nobody wants to think of the worst-case scenario, it can be helpful when it comes to insurance. You should find out how much you would have to spend if you get into an accident based on your different policy options. Sometimes, it is smarter to go with a policy that costs a bit more each month because your out-of-pocket expenses for an accident will be more affordable. You should always make sure that you can actually afford your deductible and any other expenses you may incur. This is a very important question to ask when you are getting an insurance policy. You want to try to get all the discounts possible. A common discount offered is on payment in full. 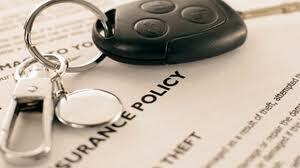 If you can afford it, it is a very smart idea to pay your insurance every six months instead of monthly. Most companies add in extra charges to bill you each month. If you can’t pay in full, then at least pay through an automatically withdraw from a checking account. Most companies will give you a discount on your auto insurance for this. You may be able to get discounts for many others things, too. If you have renter’s or homeowner’s insurance with the same company as your car insurance, you can often qualify for a discount. 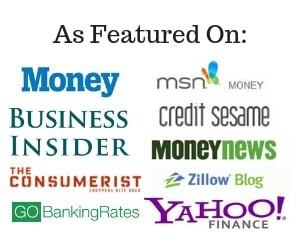 Membership with certain organizations may give you a discount. Go through all your options with your agent just to double check if they apply to you. Discounts can really add up to big savings. Getting affordable car insurance that offers you adequate coverage can be a complicated balancing act. However, if you are concerned about keeping your budget in good shape and minimizing your expenses, then it is well worth it to speak with insurance agents and do your homework on any policy before you buy. Great tips Alexis! Thanks for sharing! I will definitely ask for these questions for my next car insurance. I received 3 different discounts when I got car insurance. 1. I got a good grades discount. 2. I got a discount for not getting in any accidents in x amount of time. 3. I took a good drivers course which helped me get an even bigger discount. Just gotta ask your car insurance agent what’s available. There are more discounts that are even listed on the car insurance website.